Easy Emoji addon lets you find and copy desired emoji from your Opera's toolbar popup UI with just one click. 1. Over 1800 emojis to choose from. 2. Toolbar popup has a built-in finder to search and find desired emojis. 3. Click on each emoji to see details and copy the icon to clipboard. 4. No settings or options to adjust. 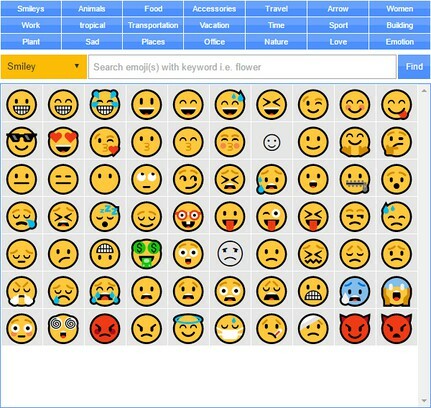 Note 1: in order to copy each emoji icon, simply click on it. 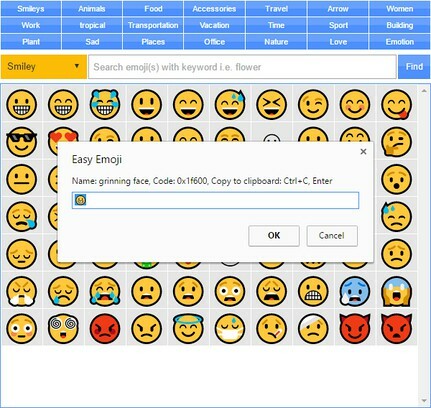 The emoji will be copied to the clipboard automatically. Note 2: depending on your browser's version and operating systems, some emoji icons may not render properly. Note 3: in order to report bugs, please fill the bug report form in the addon's homepage (http://mybrowseraddon.com/easy-emoji.html).